Dallas County District Attorney Faith Johnson campaigns at a Republican get-out-the-vote rally in Irving. The race pits two former Dallas County judges, both African-American, against each other. Faith Johnson, the Republican incumbent, was appointed to the post nearly two years ago by Gov. 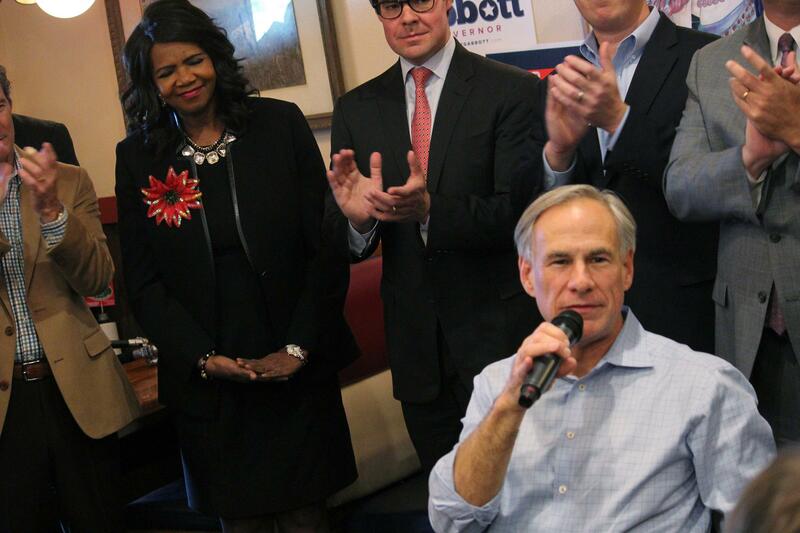 Greg Abbott after then-DA Susan Hawk stepped down in 2016. Her Democratic challenger is John Creuzot, who was known as a judge for his reformist approach to the job. The race has been targeted by advocates pushing for criminal justice reform, part of a national movement to put reformers into district attorneys’ offices. It’s come as new research has focused on the central role played by prosecutors in decades of rising prison populations even as the nation has enjoyed historically low rates of crime. The movement has produced a cadre of reform-minded local prosecutors working to use the offices to reverse the effects of tough-on-crime policies that characterized criminal justice in recent decades. John Creuzot says it’s time for Dallas County to join their ranks. Creuzot is a wonk, the kind of person who pays very close attention to details and data. So when the Democrat talks about setting up Dallas County’s first diversion court 20 years ago to send first-time drug offenders to addiction treatment instead of prison, he tells you about statistics: the 68 percent reduction in re-arrests; the criminal justice cost savings of $9.34 for every dollar spent on the drug court. Creuzot says he started working on reforming criminal justice before it was popular. After pioneering drug courts in Dallas, he pushed for legislative changes that made specialty courts — “problem-solving courts,” he likes to call them — to proliferate across Texas. 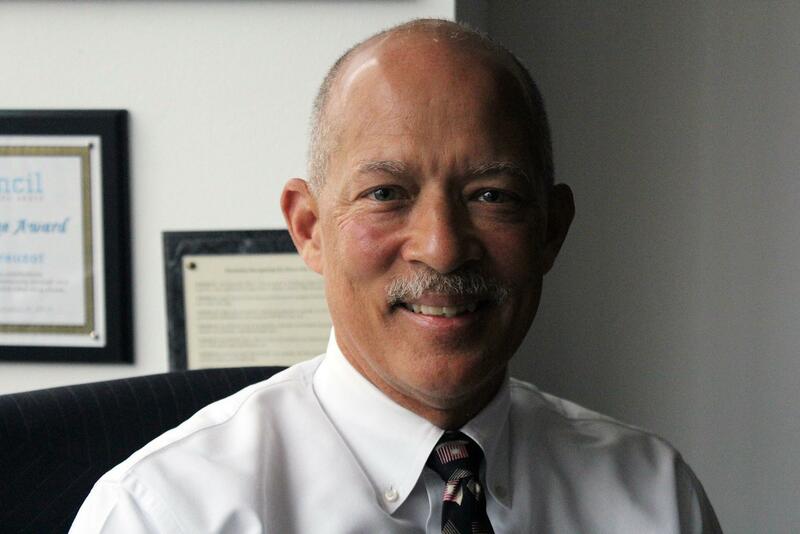 John Creuzot, a long-time judge in Dallas County, is running to be district attorney, arguing that he's usher in progressive reforms if elected. Now, Creuzot says he’ll bring that history of innovation to the district attorney’s office, even if his detail-oriented rhetoric can sometimes understate the sweeping agenda he’s pledged: to use the top law enforcement office in the county to undo policies that have produced a system he says relies too much on incarceration and that disproportionately targets poor people and people of color. "The motivation is to change the criminal justice system to what is a better outcome for the community." “The motivation is to change the criminal justice system to what is a better outcome for the community,” he says simply. That will require a range of changes, Creuzot says. While he plans use the first 90 days in office to evaluate and produce a detailed list of policy shifts, he says it’ll include changes to the bail system to ensure poor people aren’t stuck in jail after being arrested because they’re too poor to get out. He also wants to bulk up a conviction integrity unit that works to exonerate people convicted of crimes they didn’t commit, and to use more alternatives to incarceration like drug or mental health treatment. “We can focus on the violent and predatory offenders if we stop wasting time and effort on the low-level, no-threat-to-public-safety offenders,” he says. Creuzot says he simply won’t prosecute some non-violent crimes associated with homelessness, or pursue charges against people for first-time, low-level marijuana possession. “If we recognize that those cases are that low level, that those individuals pose no threat to the community, then why are we wasting any taxpayer dollars on those cases when we can free up those resources for other things?” he says. Creuzot's broad proposals have earned him the support of progressive advocacy groups who want a criminal justice system that is fairer and less punitive. If he wins office, Creuzot says he’ll order a top-to-bottom assessment of the office’s policies and procedures, gather data to track whether the office is contributing to mass incarceration or perpetuating racial disparities, retrain prosecutors to pursue more “modern, evidence-based” policies and fire those who don’t want to get on board. But in order to do any of that, he’ll have to unseat the incumbent. And Faith Johnson has been making the case that she has been a change agent since taking office, and will continue to focus on giving low-level, non-violent offenders a chance to clean up their act. But where her opponent favors data and details, Johnson speaks in broader terms. Gov. Greg Abbott appointed Johnson to replace then-District Attorney Susan Hawk, who stepped down in 2016. He praised her deep faith at a campaign event in Irving. Johnson differs from Creuzot when it comes to not charging low-level crimes. On marijuana possession, Johnson says she’s obligated to charge offenders. But she says low-level offenders are given the option to complete classes and fulfill other conditions, in order to get their cases dropped and their arrests expunged. And she has launched a program that allows homeless people to avoid jail time for some low-level offenses provided they meet certain conditions. Soon after taking office, Johnson launched a series of events to help people expunge old arrest records that didn’t result in a conviction. She opened 15 satellite offices to make it easier for victims of family violence to get restraining orders. But she gained the most attention for successfully prosecuting a white former police officer, Roy Oliver, for murder when he shot a 15-year-old Jordan Edwards, who was black. "My perspective when I came in was: How do I make sure the system is fair, no matter who you are?" Johnson has also taken a tough line on the officer who shot and killed 26-year-old accountant Botham Jean in his apartment in September, suggesting she might push for murder charges against former Dallas police officer Amber Guyger. Observers expect her tough approach to controversial police shootings could earn the Republican some support in traditionally Democratic southern Dallas. Still, Johnson has faced criticism from advocates for criminal justice reform for her decision to try teenaged armed-robbery suspects as adults, for fighting a lawsuit aimed at overhauling the county’s cash bail system, and for lacking a holistic plan to use the office to curb mass incarceration and racial disparities. But her management of the office and her efforts to make the office more accessible earned her the endorsement of The Dallas Morning News. “My perspective when I came in was: How do I make sure the system is fair, no matter who you are? That’s always my focus: equal justice,” she said. Johnson says she plans to focus more on prosecuting elder abuse and human trafficking crimes if she is re-elected. Whether Johnson remains Dallas County’s district attorney, or John Creuzot unseats her, one thing seems clear: The age of elected prosecutors running on how tough-on-crime they are is over in the second largest county in Texas. William Roundtree is part of a cadre of ACLU canvassers knocking on doors and talking to people at bus stops and shopping centers in Dallas County to raise awareness of a district attorney’s power to change lives. It’s a power he knows all too well. Erika Murillo wakes up at 3 a.m. to get to her job — taking orders from hospitals and restaurants on everything from hospital gowns to napkins — by 4 a.m.
She's home by 12:45 p.m., just enough time to take a quick nap before her daughter Sabrina, 9, and son, Dorian, 11, come home from school. Dallas County is a major battleground this election season, from a marquee congressional race between longtime Republican Pete Sessions and civil rights lawyer Colin Allred to a tough fight over a state Senate seat that stretches from Irving to Rowlett. But perhaps the most overlooked races are for the Texas House: More than half of Dallas County’s 14 state House districts are seen as competitive this year. More than 4.8 million Texans cast their ballot in person or by mail during the early voting period. 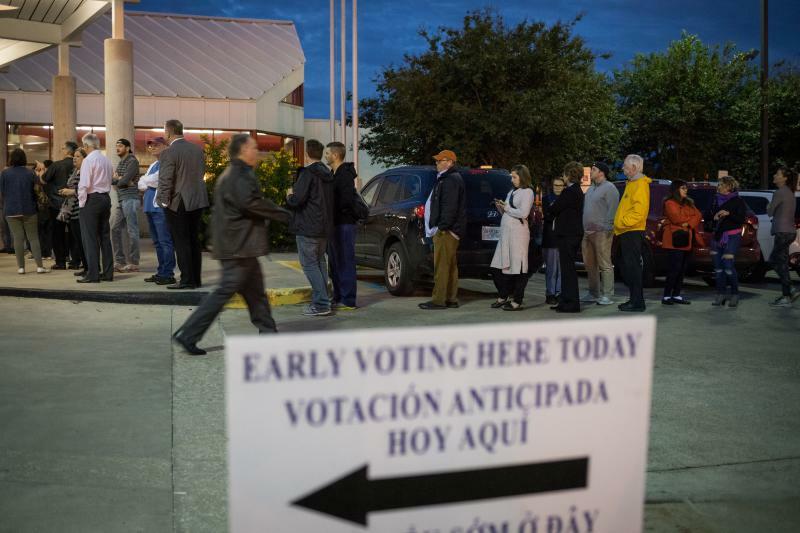 At the end of early voting on Friday, turnout in the state's largest counties surpassed the entire turnout of the 2014 midterm election. But that doesn't mean you don't need to vote — Election Day is Tuesday.